Fresh from events in Yemen and Cyprus, vigilante justice-seeker Claymore Straker returns to South Africa, seeking absolution for the sins of his past. Over four days, he testifies to Desmond Tutu's newly established Truth and Reconciliation Commission, recounting the shattering events that led to his dishonourable discharge and exile, fifteen years earlier. It was 1980. The height of the Cold War. 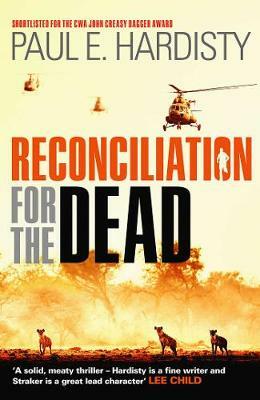 Clay is a young paratrooper in the South African Army, fighting in Angola against the Communist insurgency that threatens to topple the White Apartheid regime. Witness and unwitting accomplice to an act of shocking brutality, Clay changes allegiance and finds himself labelled a deserter and accused of high treason, setting him on a journey into the dark, twisted heart of institutionalised hatred, from which no one will emerge unscathed.